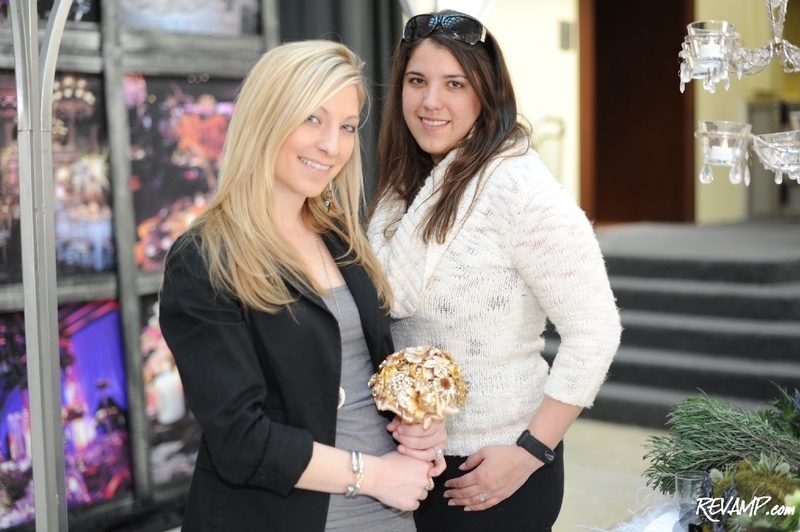 Brides were free to throw a variety of sample bouquets (without consequence) at this year's 'A Chic Affair'. Be sure to check out all 179 of our photographs from this event HERE! NORTHWEST -- �It was the best of times, it was the worst of times�� Charles Dickens could have just as easily been writing about his wedding day as the French Revolution because, despite all of the happiness and joy that arises from such a celebratory occasion, an enormous amount of work must first be performed in order to ensure that such a day has a better ending than A Tale of Two Cities! 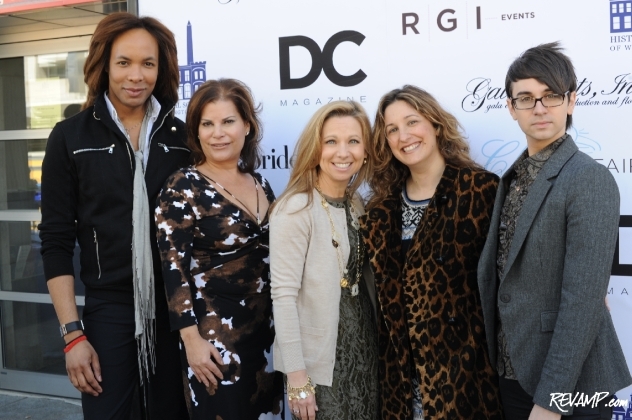 Fortunately for D.C.�s modern brides, the hard-working team over at RGI Events had taken it upon themselves to make matrimonial bliss a little easier to attain, with the 2011 annual celebration of its luxury bridal show: A Chic Affair. Designed as a bridal experience through which guests can bear witness to �the perfect marriage of the latest trends and timeless elegance,� Sunday�s afternoon event at the Historical Society of Washington, D.C. boasted dozens of corporate partners from the intersecting worlds of bridal fashion, catering, d�cor, invitations, and, of course, gifting! Indeed, there was a little bit of something for everyone. For the foodies, there was a live catering demonstration from L�Auberge Chez Francois Chef de Cuisine Jacques Haeringer (chocolate truffles anyone?) and a variety of eco-friendly caterers. 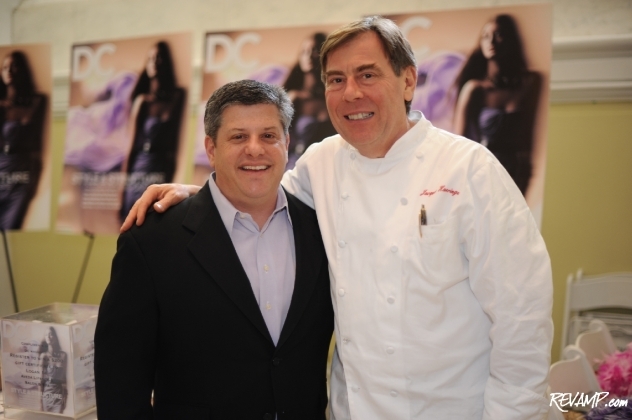 DC Magazine Publisher Peter Abrahams and L�Auberge Chez Francois Chef Jacques Haeringer. For the planners, a star-studded panel of experts featuring everyone from famed fashion and event designers Christian Siriano and Jamie Greenwald, respectively, to DC Magazine Editor-in-Chief Karen Sommer Shallett to stylist Paul Wharton to stationary guru and The Dandelion Patch owner Heidi Kallett. A �State of the Union Panel� of experts took questions from the audience on everything from destination weddings to invitations. And for the grooms, there was even a special �Gentleman�s Lounge� � a self-described �man-cave� where men were free to taste a variety of local craft beers and aged Scotch whiskeys, while watching sports on high-definition plasma screens. 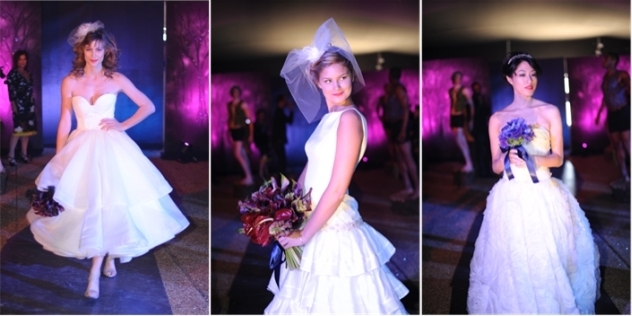 A dramatic fashion show at the end clearly represented the apex of the event though, with a half-dozen models walking an enchanted runway in the latest gowns from a variety of premier designers, including Rosa Clara Couture and Badgley Mischka, courtesy of Chevy Chase Bridal. Runway designs touched on the whimsical and avant-garde. Tags:Historical Society of Washington, D.C.